Beyond Consultant’s primary strength rests in helping applicants perceive their ambition of studying at top colleges abroad. If you have dreamed of getting your education in foreign universities and colleges, we can make that dream come true. Our core expertise lies in understanding the various career paths of students and then assisting them to overcome all hurdles that come in the way of their roadmap to success. We can help you get into the top colleges and institutions by showing you the right path. Our wide range of services will help you right from deciding the apt program to converting a wait-list to an acceptance. 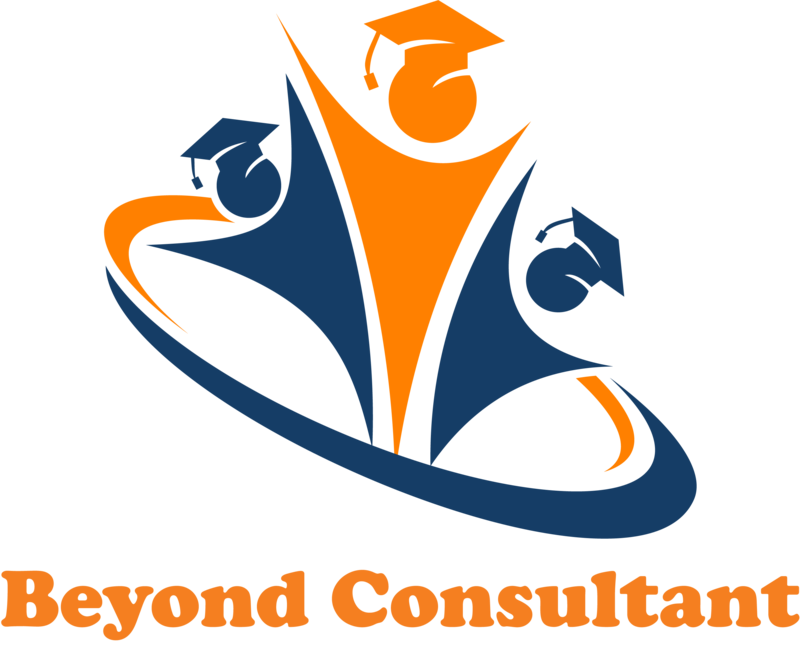 If you wish to pursue education from an international university or college, then Beyond Consultant will guide you and help you plan the road-map to success. Get accurate and updated information on the top schools abroad, and plan your next big step with us. You could easily get a list of college on the internet. So why choose us? Because we help you sort the colleges that are aligned to your career plans and your uniqueness. Our experts work individually with each of you to identify colleges and programs best suited for you. Despite having countless reviews and blogs on the internet about creating the perfect resume, not many people seem to get it right. Resumes need to be concise, effective, compelling, relevant, and based on quantifiable facts. It should provide a clear, succinct snapshot of who you really are, and the value you bring to the table. Our resume experts review each resume and cater it specifically to the region being targeted and your capabilities that need to be highlighted. We have helped several individuals get closer to their dream career with our professional resume review service. If you have already done some research about applying for education abroad or tried to apply on your own, you must be aware that the essays are an integral part of the evaluation process. We won’t write your essays for you. Rather, we will proofread it and provide suggestions to trim off any redundant information. This will ensure that essays stay sharp, accurate, and focused on the topic, thereby increasing your chances of getting an admit. Most applicants lose hope the moment they are waitlisted. It should be understood that being waitlisted doesn’t mean that your chances are completely lost. It just means that you have hit a minor block on the path to your goal. Our experts will brainstorm and devise a waitlist strategy that will convert your waitlist into a confirmed admission in your preferred college. We all dread interviews, especially when we are not prepared. As counselors, we understand all the possible pitfalls and obstacles that you might face while preparing for the personal interview. Our Experts have identified key traits that interviewers love in their candidates. Our carefully planned and executed mock interviews and detailed feedback enable you to be fully prepared for the real thing. After all, one interview can change your life. Let’s make it count! International education can be quite expensive. Are you worried about financing your education abroad? Here are many scholarships and financial aids available for deserving individuals. Our experts not only help you identify the best scholarships that suit your profile but also work with you to make sure your chances of getting the scholarship increase considerably. It is not easy to face rejection from universities while applying for education abroad. But before you start applying again, you need to take a break and get a Ding Analysis. The results of the Ding Analysis reveals the shortcomings in the current application and highlights areas of improvement. We will ensure your next application doesn’t get rejected. Didn’t Make The Final Cut? Don’t Worry! We will help you prepare the re-applicant essay and assist in identifying key areas where you have grown since your last application. The entire focus in this phase will be to maximize your chances of getting selected to your preferred university / college.